A rumor suggests Apple is in the early planning stages of creating a gaming subscription service, one that would provide access to a selection of titles for a monthly fee, in what could be a bid to further expand its growing Services revenue. Gaming is a major contributor of revenue to the App Store, with billions spent on games and in-app purchases by millions of users. Even so, it is suggested Apple may be looking for other ways to boost its game-related revenue, by encouraging ongoing monthly payments. Five sources of Cheddar claim Apple is working on some sort of game subscription service, and started to enter discussions with game developers late in 2018 about such an opportunity. As it is early in its planning stages, the project can potentially be abandoned before Apple applies significant resources to the effort. It is unclear exactly how the service would work, if it would include in-app purchase bonuses, and the kind of games it would offer. Two sources suggest Apple is also examining the possibility of working with developers directly as a publisher, a move which could allow Apple to earn a bigger cut of app purchase revenue above its existing 30 percent fee. A move like this would also make it easier for Apple to form a subscription-style offering. While a subscription would offer some merit, if customers wanted to play some from a large roster of paid-for titles, the enterprise would be seemingly the opposite of the current App Store revenue sources. 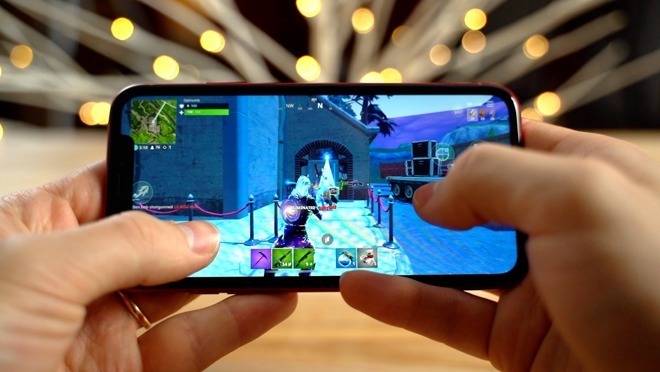 Most revenue stems from free-to-play titles that rely on in-app purchases, such as the popular Fortnite which reached $100 million in in-app purchases within 90 days of shipping on iOS. A games subscription could potentially be a good fit alongside other content subscriptions from the company. Apple already offers Apple Music as a monthly subscription, and has been tipped to create an all-in-one subscription covering Apple Music, News, and its original video content project. Apple is seemingly not the first to consider offering mobile gaming as a subscription. In October, reports circulated about a possible "Play Pass" subscription for the Google Play Store that would permit Android users access to games and other apps for a monthly charge.